Darkstar's official website - Electronic duo from North England. Third album, 'Foam Island' out now! Darkstar performed a bespoke and live 60 minute composition set to an original film directed by long term collaborator Cieron Magnat. The piece explores dance and club culture and was researched over the course of 4 years. 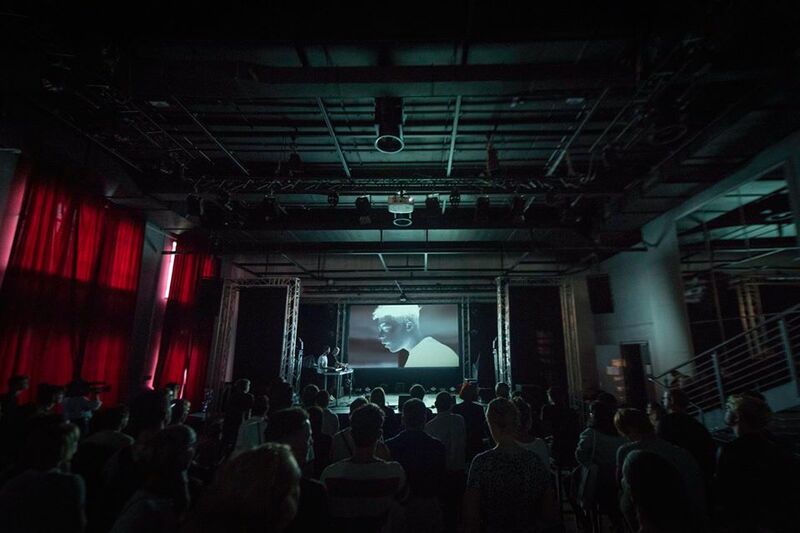 It was performed at Palais in Berlin as part of Pop Kultur festival. Dance Unity is a piece composed by Darkstar and performed by James Mcvinnie, inspired by Hull and the Dance Unity parties held within the City in the early 90s. The focus was on the emotions dance unity evocated and the duo immersed themselves within the culture. It was performed as two fifteen minute original composition as Hull City Hall and the Royal Festival Hall. Working with the youth of Harthill Youth Centre in Liverpool, Darkstar created pieces set to a documentary style piece directed by Cieron Magnat. The duo spent time with the teenagers and collaborated on various tracks. The composition is a statement on inner city immigrant youth culture and how music can evoke and enable children to be creative. It was performed at The Barbican as part of the larger Different Trains 1947 movement, which is comprised of a multimedia performance by Actress, Sandunes and Jack Barnett from These New Puritans. Some Greater Class, performed at Southbank Centre was a unique take on the normative ideals promoted in the mainstream pop culture. The piece was choreographed by Holly Blakey and was live scored by both Darkstar and collaborator Gwilym Gold. The film captures Darkstar interviewing locals in South Africa along with a new live music and film show which was performed in Cape Town and Johannesburg. This included the recordings of interviewees which were woven into the tracks to form a powerful combination of audio documentary, electronic music and political statement.